Christina Lynn (from Tactical Girls 2013) signs calendars at the Serbu booth on Wednesday 2013 JAN 16. 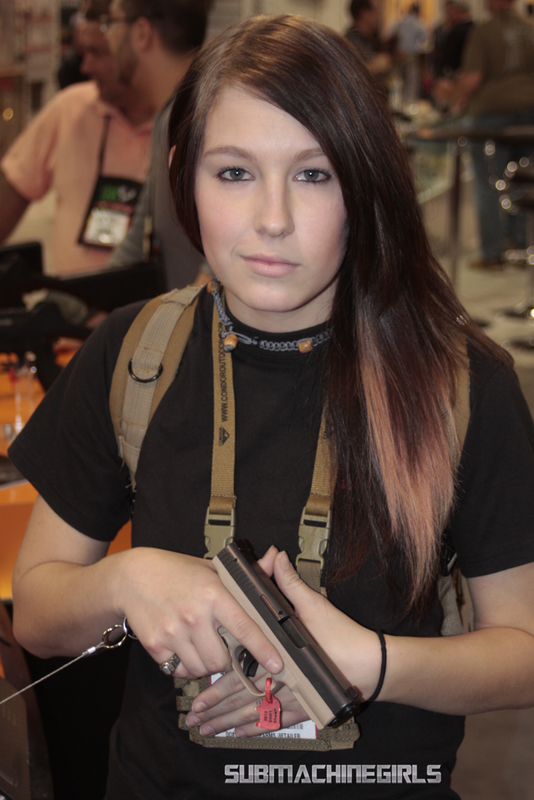 Stephani, from Serbu Firearms, was kind enough to pose for a photo. She spent time explaining the Serbu AOW shotguns to attendees visiting their booth. If you had a chance to be at the show, hope you stopped by to talk With Serbu, good company, good people. 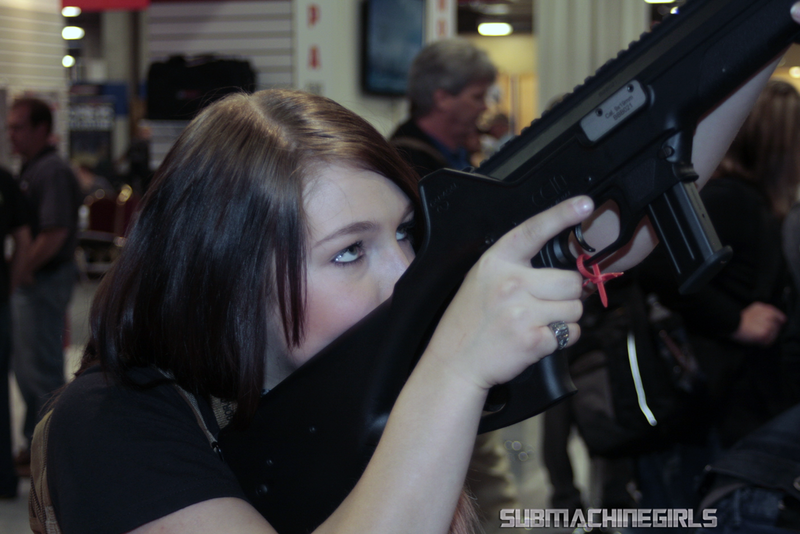 Lady Parabellum at SHOT Show 2013 for Parabellum Armament. 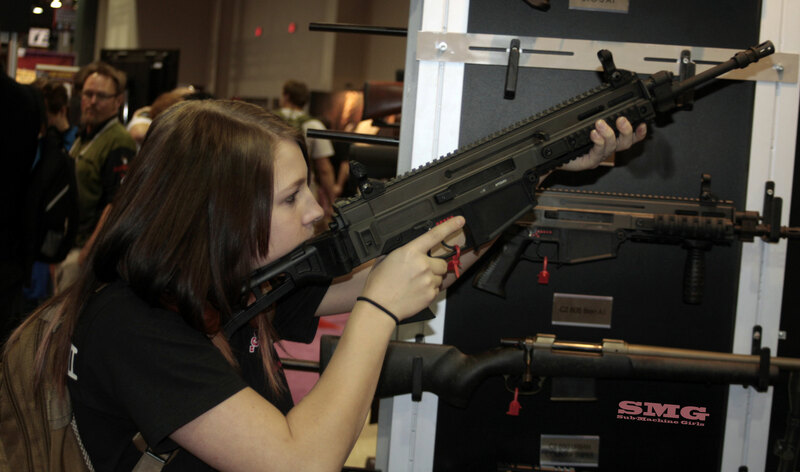 GunDoll at SHOT Show 2013 with the Czech Scorpion EVO3 SMG. 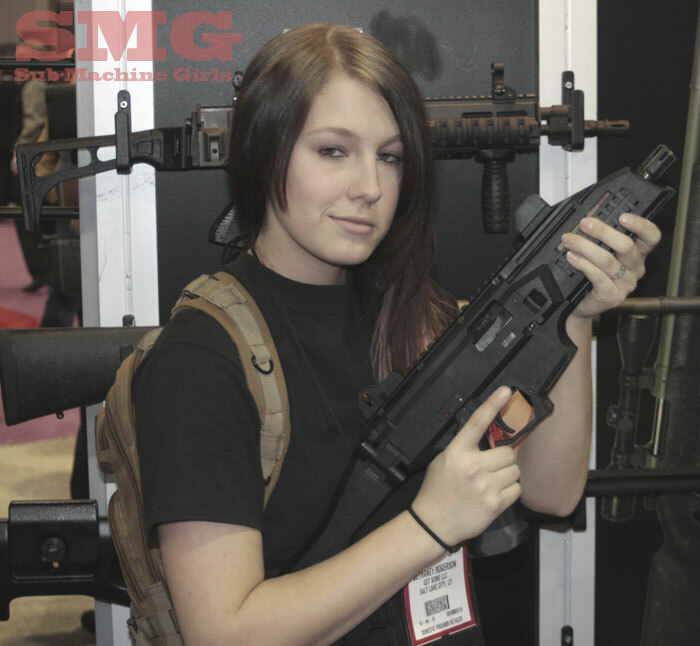 Check out Guns & Ammo’s slideshow of SHOT 2013 booth babes. It looks like they also made it a competition by allowing anyone to vote on their favorite. Make sure you select the one with the best personality. In the G&A archives you can also view the booth babes of 2012.